Last week I posted the beginning of a debate on where to live. Is life better in the city, or the country, etc? And then this past weekend as I was wandering the aisles of the Internet I discovered this very clever crowd sourced answer to that debate via Travel & Leisure magazine. 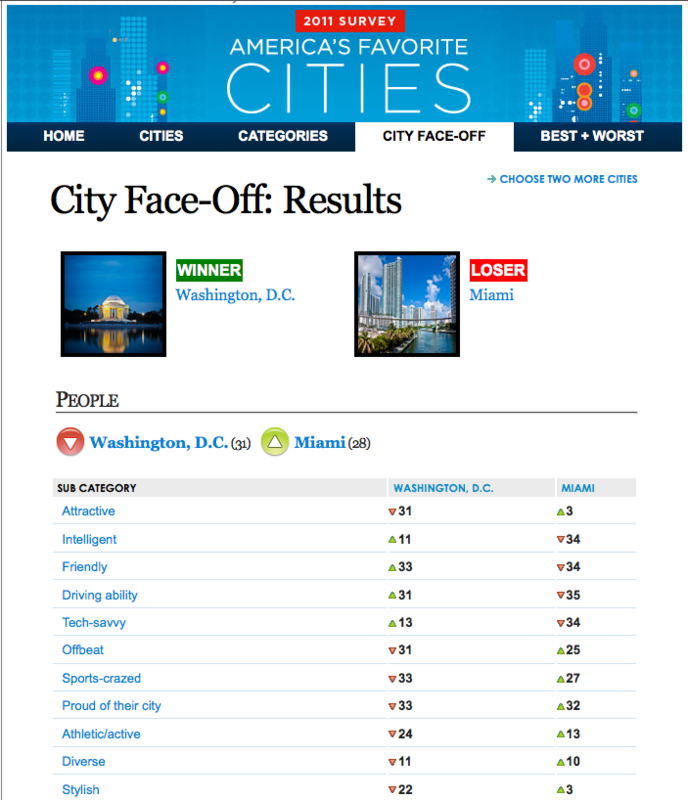 T & L readers rated America’s top cities in a variety of categories and then you can compare them online and find out which city wins in a face-off. Because I am sucker for cool infographics, and online games of this nature, I played with this for a while. 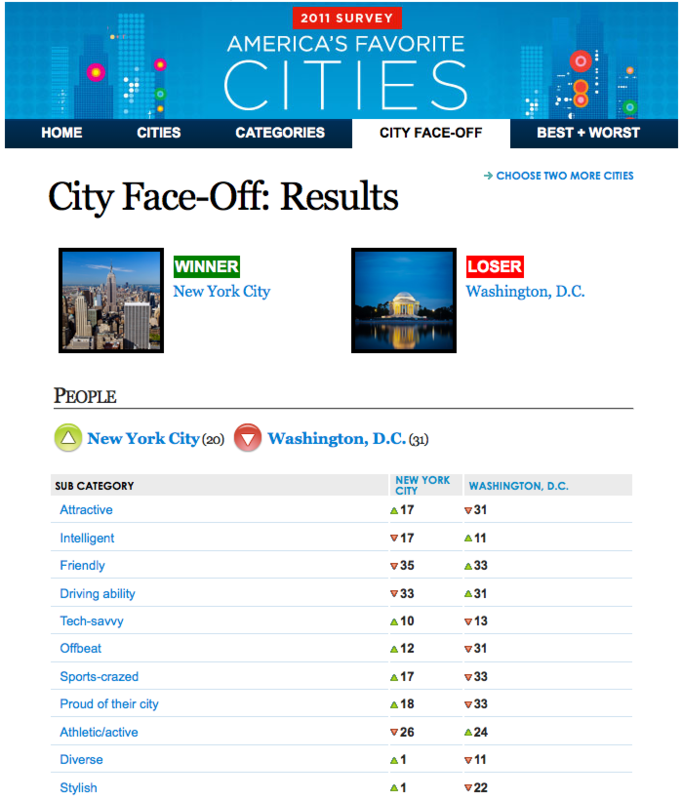 If you’ve lived in, or visited, a number of these cities it is really interesting to see how the general public views your town and if your own opinions match up. 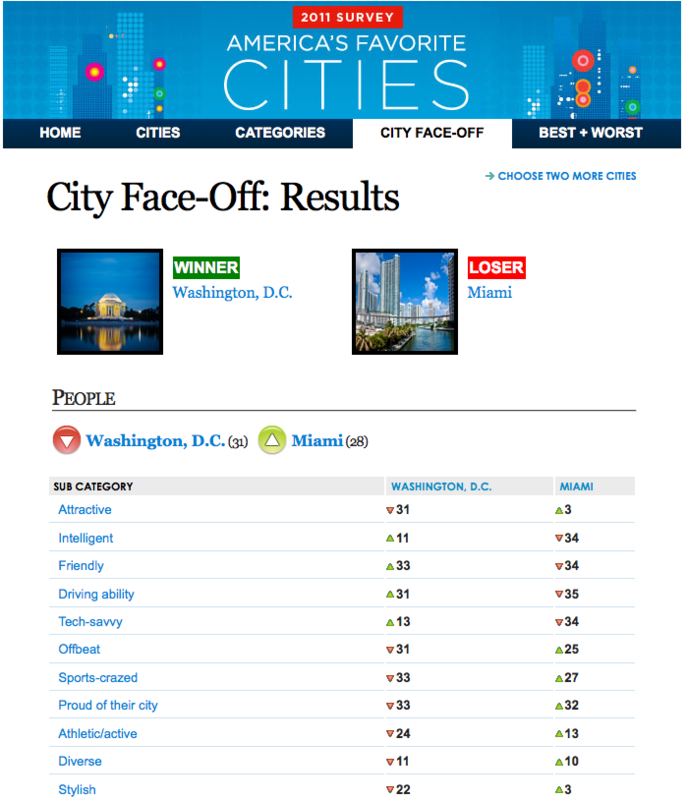 For instance, DC is tech savvy and Miami is style savvy. 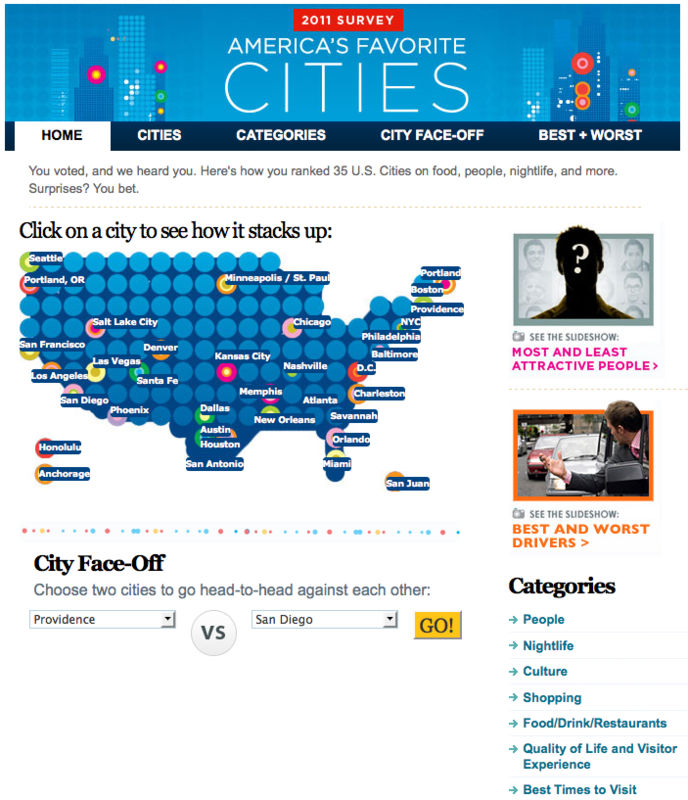 Fun little way to look at the best and worst of each city. This entry was posted in Her Home and tagged American cities, best cities to visit, most attractive cities, travel and leisure best cities, travel guides, weekend city getaway. Bookmark the permalink.